Dr. Herve Dumont is a cardiac and thoracic surgeon working in Los Angeles, California. 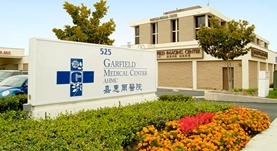 He offers his services at Garfield Medical Center. He got his diploma from NYU School of Medicine and did his residency in General Surgery at St Luke's-Roosevelt Hospital Center. Dr. Herve Dumont also completed a fellowship in Thoracic Surgery at Albert Einstein College of Medicine. The doctor is certified in Surgery and has an experience of more than 20 years.